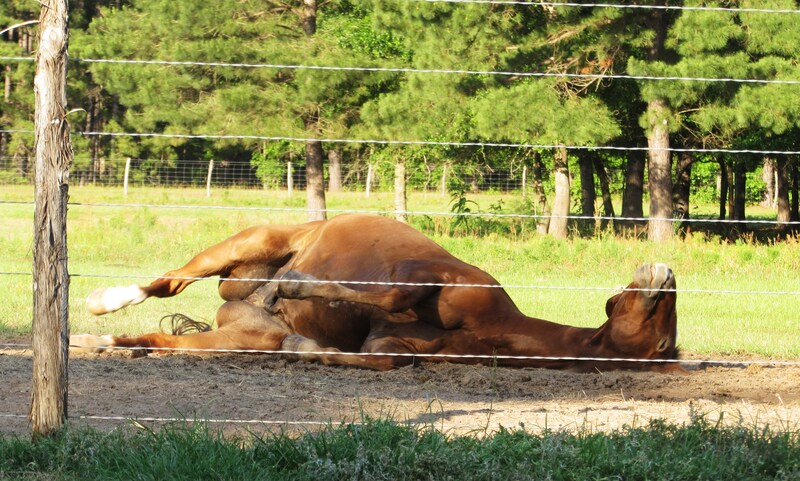 Horses love to roll in the dirt. They especially love to roll right after you have spent about 45 minutes giving them a bath and doing their hair. Come to think of it they aren’t much different than Addie, who is almost 6 years old. 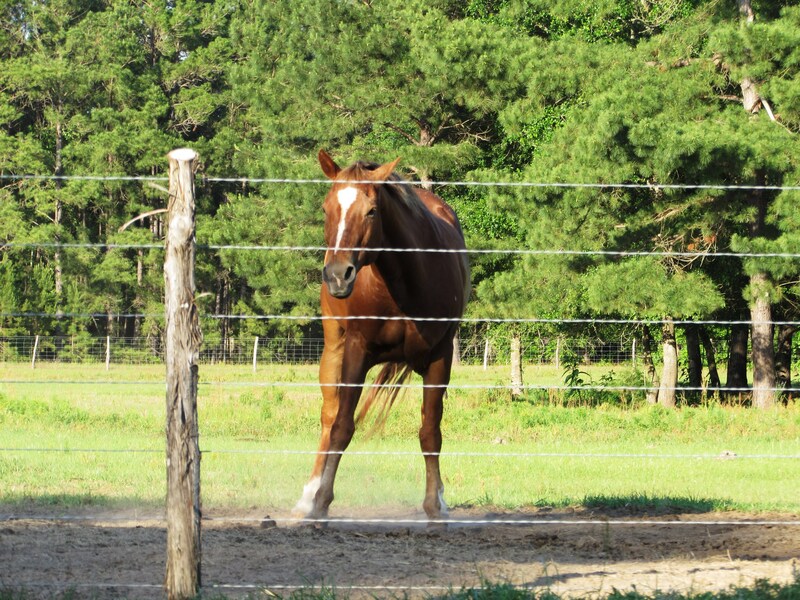 Only she really prefers mud to plain, old dirt. Then BOOM they are in the dirt! If Preacher knew how unattractive this looked I’ll bet he’d think twice. Then again we don’t have any ladies hanging about so who cares?! 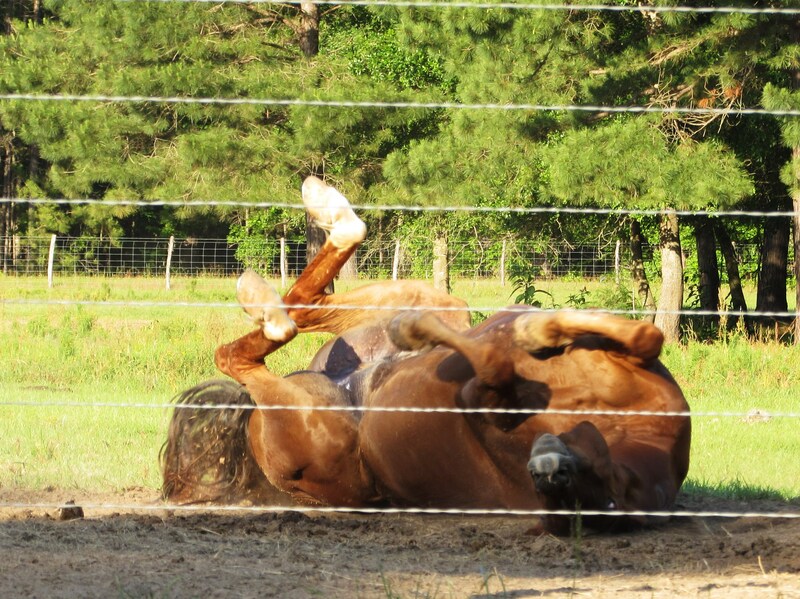 They say you can tell how much a horse is worth by how many times they roll over. Each roll is worth a hundred bucks. Preacher was only worth about two hundred this go ’round. He thinks he is worth much more, see how he shakes his head in disagreement? 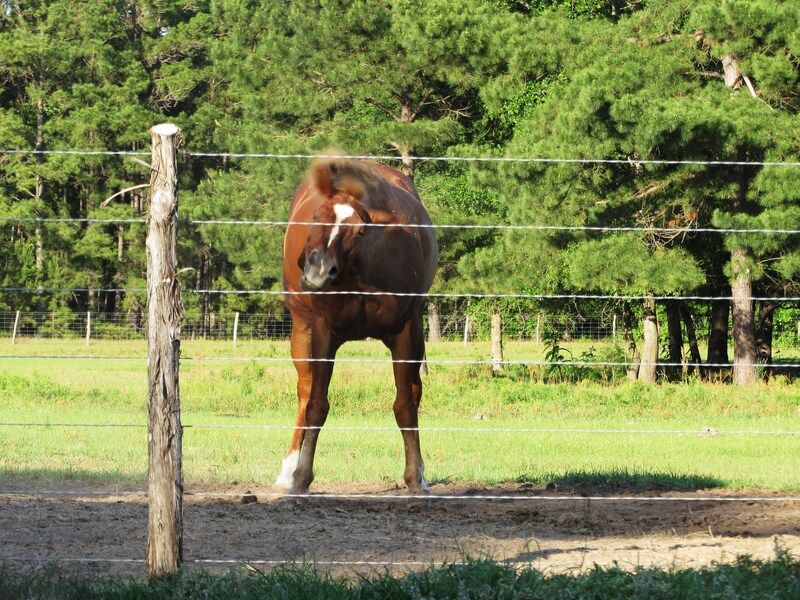 I love how he looks like he is licking the post in this picture even though he was a good 6 feet from the fence. Silly old Preacher. Llamas love to roll after baths too. It’s way worse than horses, because mud gets stuck in their wool. 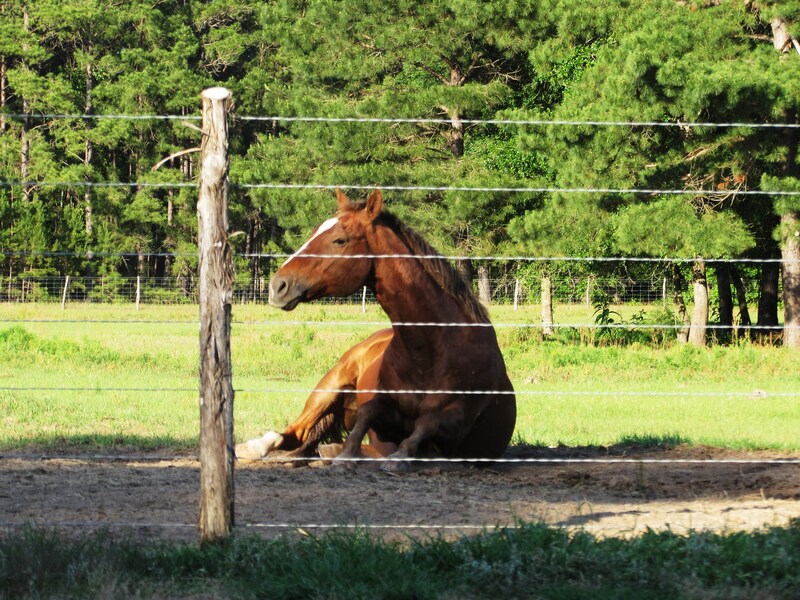 Awwww… bless his horsey heart! Lovely pics – I can almost hear him! He’s just doing what we all wish we could get away with. What a handsome fella. 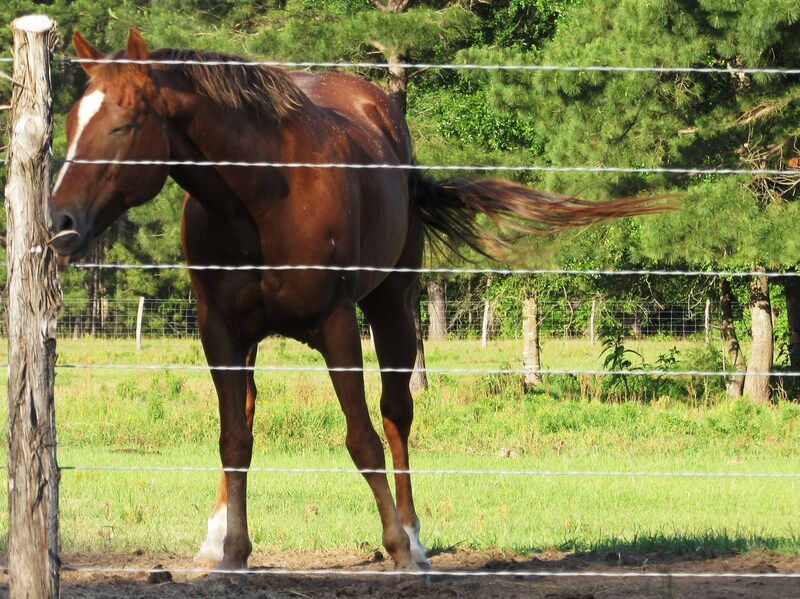 I guess it’s a horse thing because even the sight of a brush brings mine to his knees… Literally. Haha. Except Tipper isn’t even worth $1 most of the time.. He’s not a good roller!